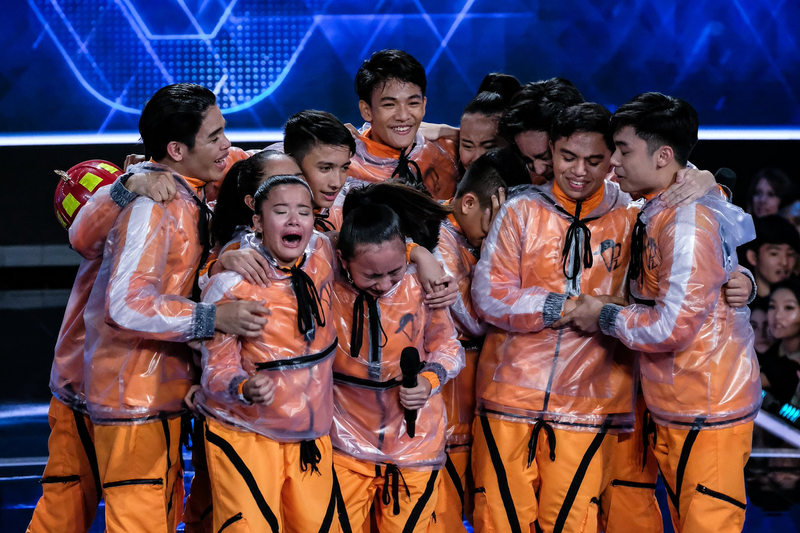 The Philippine junior dance group Vpeepz "How Low" routine really fires up the stage of NBC's World of Dance 2019. The 13-member hip hop group directly flies to the U.S. for the Qualifiers of the second part of the competition on March 3 (March 4 Manila Time), and they made it. The group wows judges Jennifer Lopez, Derek Hough, and NeYo. After their performance they were asked to why the team traveled all the way from the Philippines to America to join WOD, Vpeepz said, "I guess we just want to show the world that even though we're all different, I can say that there's really unity and diversity, even though we are different, the answer really brought us together, a love to one another and a love to dance." JLO: "To hear you guys your mission statement from your mouth, how you feel, and what were your all about, to me this is why I have so much hope for the future of this world because...These kids, at this age, like last year with The Lab, that just made me realize that they're...They're so far above where we were... In our thoughts, and in our mind, and they're going t o take care of our future world and generation." "These kids are 11 to 16 years old, and to hear them talking about diversity, and unity, and love, and class, and all of it... It's beyond. I wasn't thinking that when I was in the fifth grade. I took things for granted, but now you know the state that the world is in, and you guys are honestly gonna change the world and make it a better place,"the queen od dance added as she also declared the group looked like a professional group on stage." Derek Hough: "Just, like, the footwork, the speed, just how in sync you all were, how sharp, how you hit everything, the formation changes-everything was so on point. It was so strong. Ne-Yo: Super strong formations. Super clean moves. Synchronicity-ridiculous. I say it a lot dancing with one mind, everybody moving at the same time on the same accord. You guys got that in spades." Part of the positive review that comes from the judges are passing scores from NeYo (89), JLO (89), and Dereck Hough (93) with the average score of 90.3. Vpeepz to proceed to the next round of the competition.